First, I assembled the pieces. I had a bit of trouble finding brown mesh at my local craft store, so I went with pre-cut circles that were black. I guess this craft fits into the “more” category for the tulle circles. 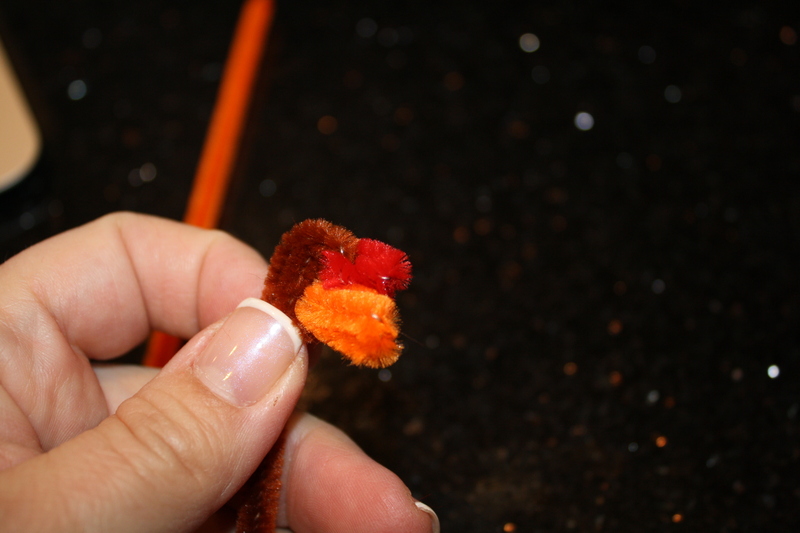 Anyway…the heads for the turkeys were made by curling one end of the brown pipe cleaner. 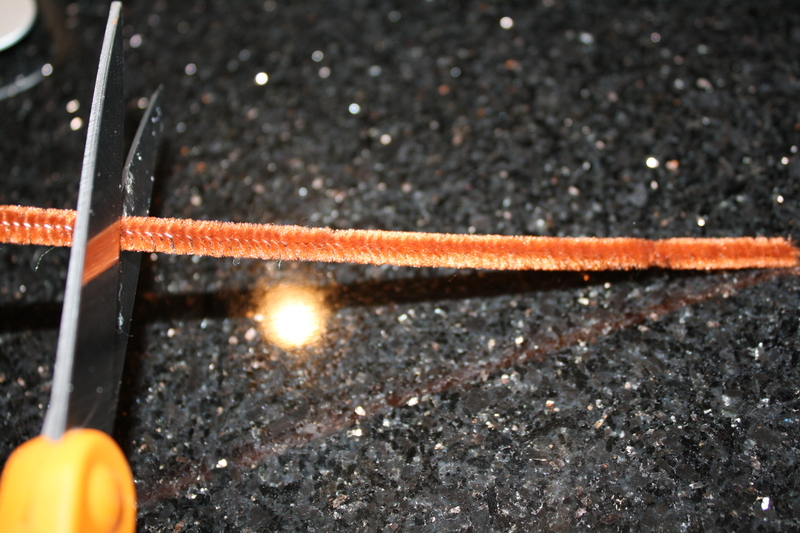 and a red one was used to make the snood. 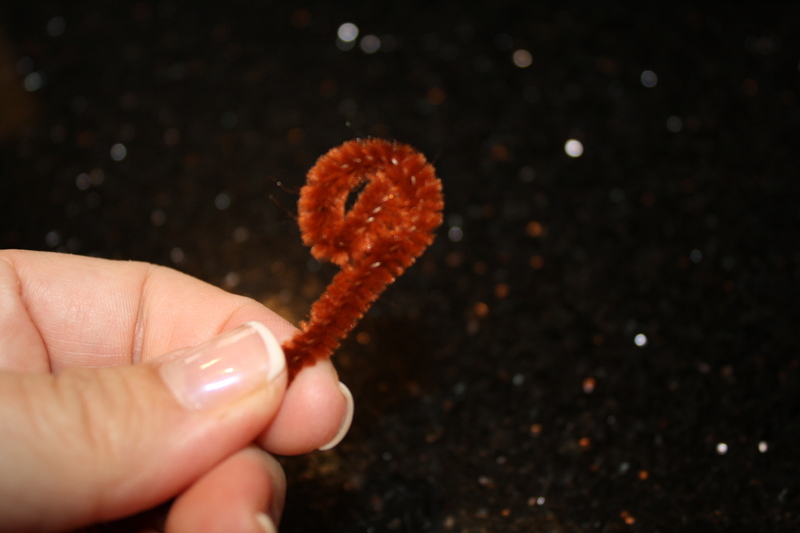 That’s right, I just used the word “snood” in a sentence. 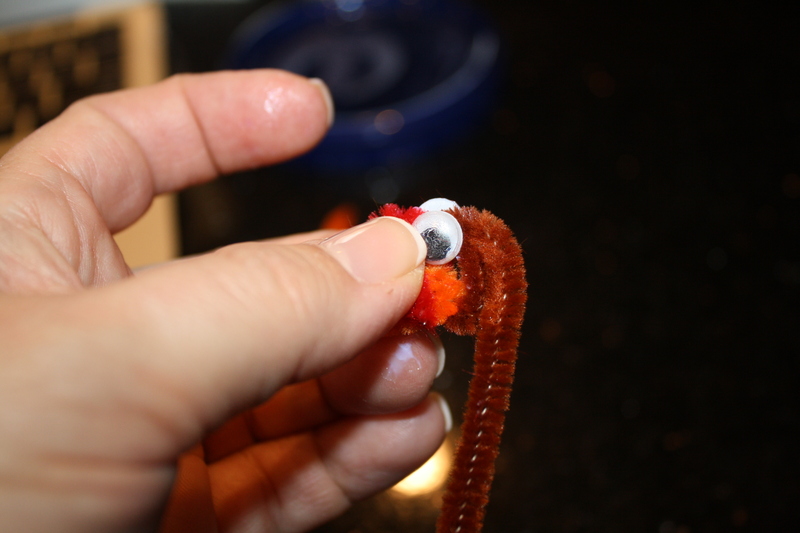 After the head had been formed, I attached the eyes with a bit of fabric glue, though I found with subsequent turkeys that this step worked better after the whole bird had been assembled. 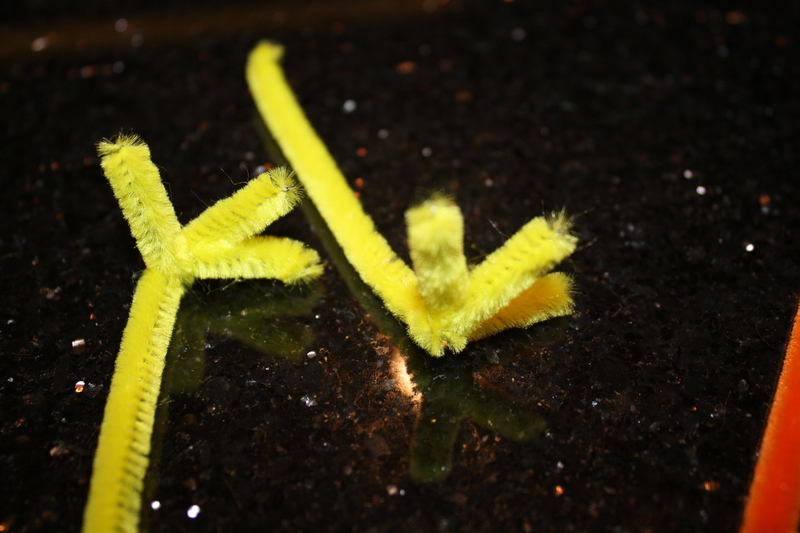 The legs were made next, using yellow pipe cleaners. 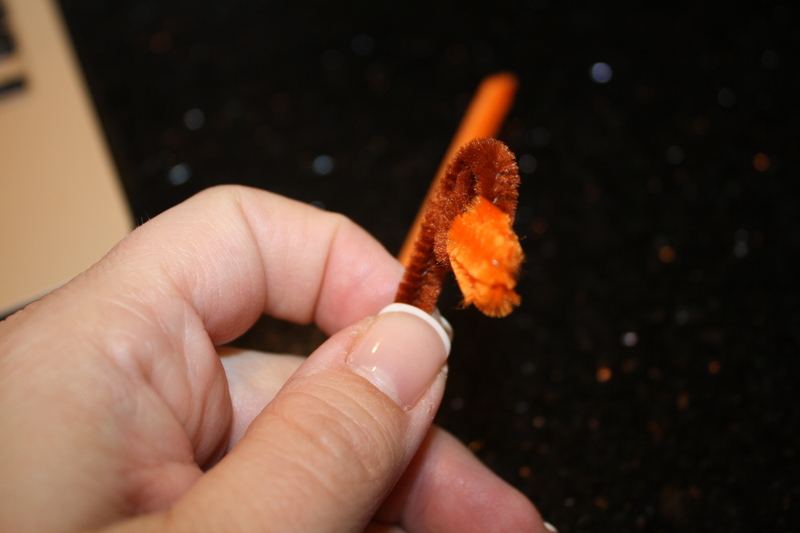 Basically, you take the longer piece, and fold the smaller one over its end, and then turn up the “foot”. 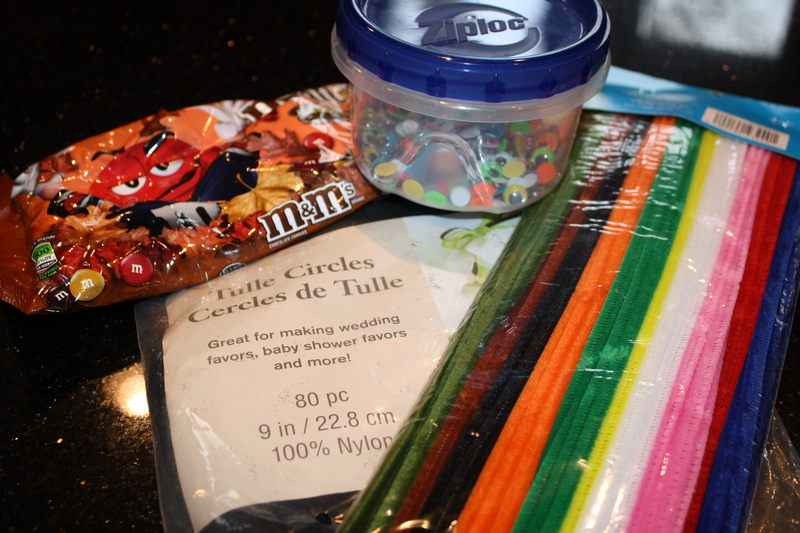 Next, I filled the tulle circles with candies and instead of using rubber bands to secure them, I twisted a small piece of black pipe cleaner. The legs and neck were then inserted through the little holes in the body to finish the turkey. And I also made some friends for him. 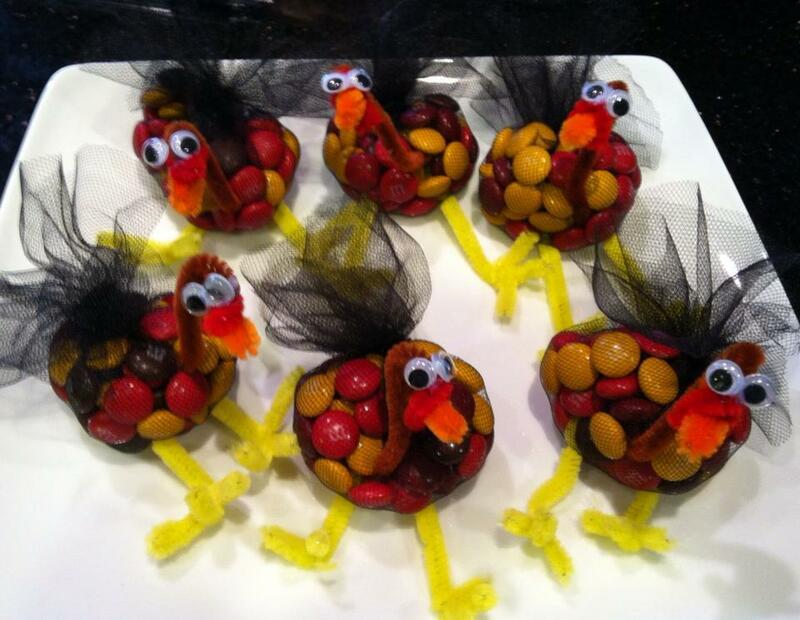 The kids will certainly gobble these up tomorrow! 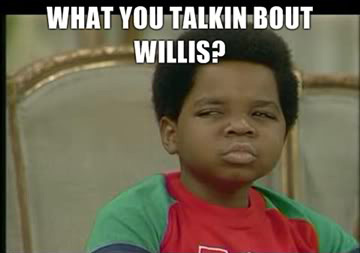 (Sorry, I don’t know why I was compelled to go there, but I couldn’t help myself.) Happy Thanksgiving! 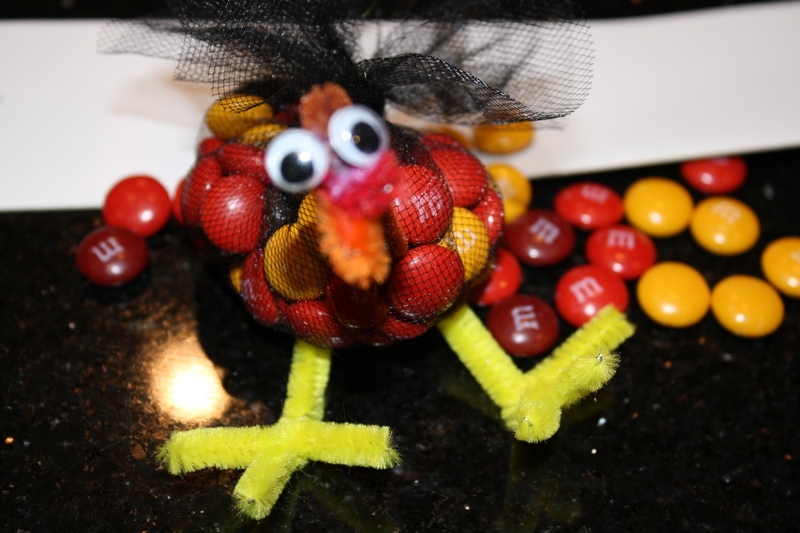 Thanks for sharing my M&M Turkey Favors – U did a great job and yours came out great!!! Thanks! 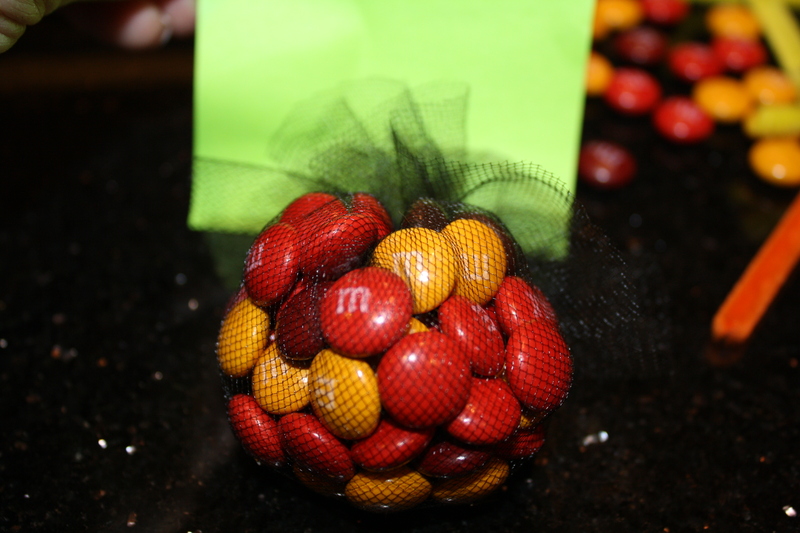 They were a big hit at our Thanksgiving gathering!